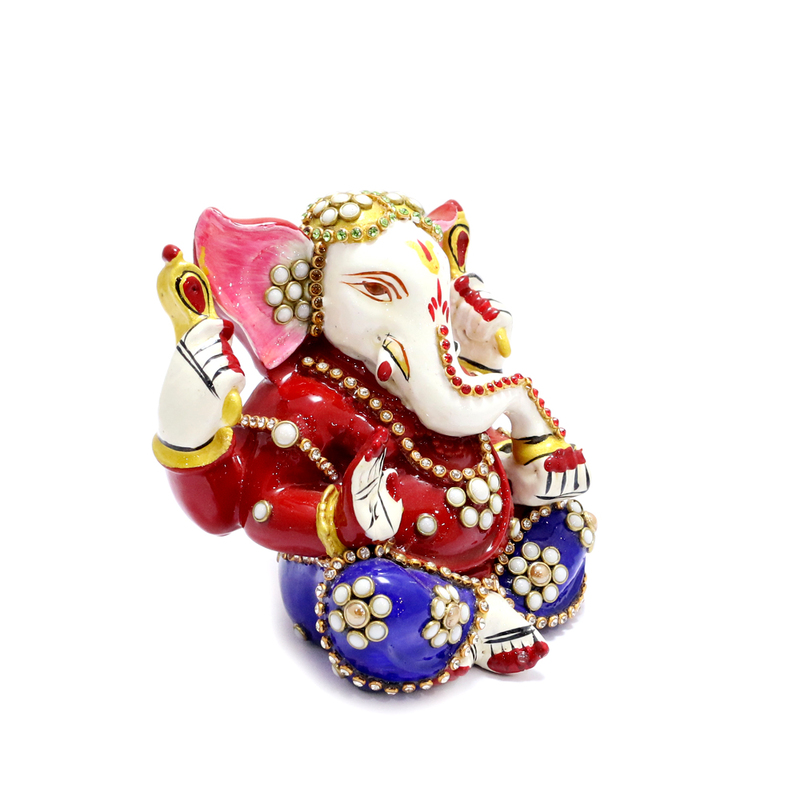 Let this Ganesh idol be your choice this Diwali. 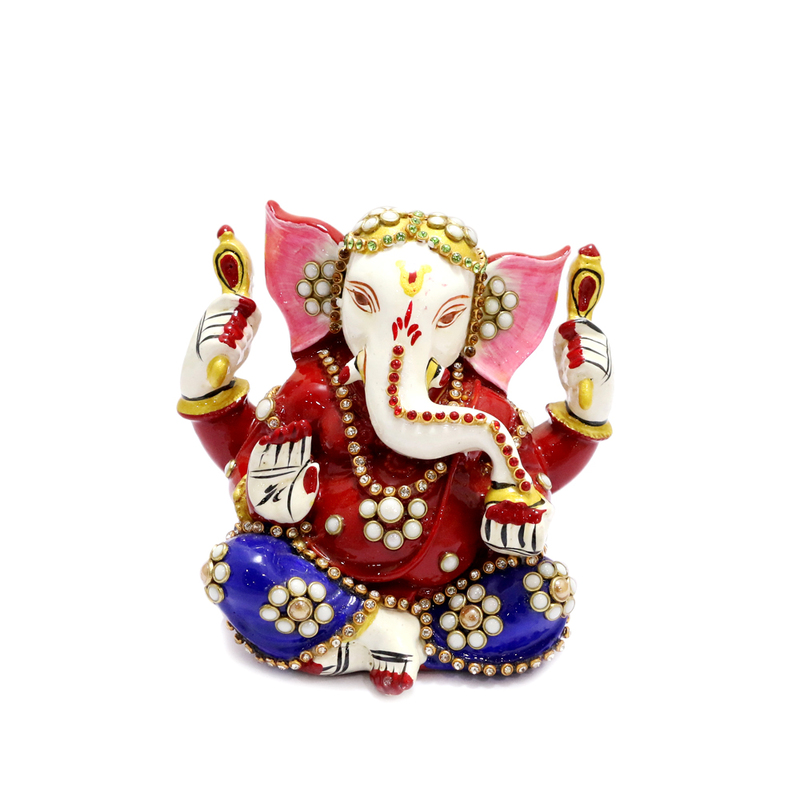 Lord Ganesh here is in a seated posture wearing colourful apparels with meena and stone designs Read More..all over. 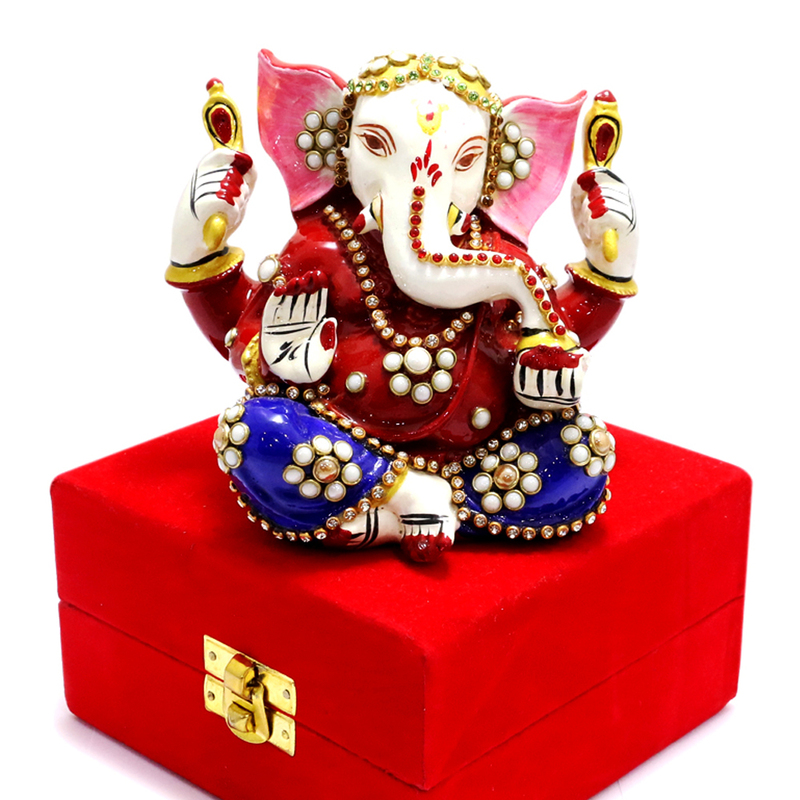 As it comes along with a beautiful red velvet packing case, it all the more makes a better present. Show Less..